Shop early and get the perfect gift – a gift card from the Water-Zoo Indoor Water Park. We have a deal for you! Between now and December 1st buy a gift card in any amount and get a 25% BONUS on your purchase. The Water-Zoo is open year round so a gift card can be used anytime. Give as a gift or keep it for yourself. Whatever you decide we’re here to help with your holiday shopping. Call the Water-Zoo 580-323-9966 for details or to make your purchase. Promotion only valid thru phone purchases. 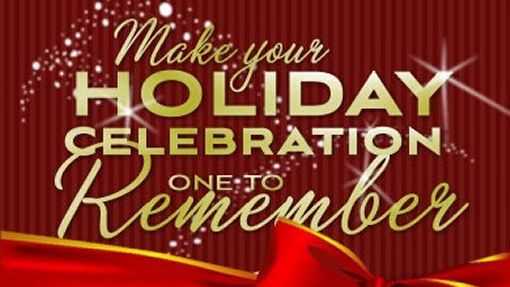 Book Your Holiday Party With Us Now!! Family, Friends, Festivities, Fun – The place to be over the holidays. Whether it’s a company party or a holiday gathering the Water-Zoo is the perfect place to host your best holiday party ever!! The Water-Zoo has three party rooms and can accommodate from 10 to 90 people. The Water-Zoo can meet your party needs with a room, food AND FUN! Book yours now by calling the Water-Zoo 580-323-9966.